As part of Starmobile's 5th anniversary, the Filipino mobile brand announces another affordable device, perfect for those on the budget and first time smartphone users, the Starmobile PLAY Five. 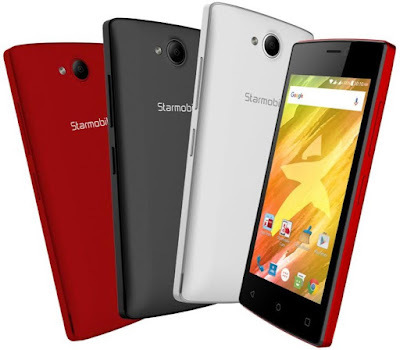 The Starmobile PLAY Five sports a 4-inch display with FWVGA resolution, which translates to about 245 pixels per inch. On the inside, it is powered by 1.2GHz Spreadtrum quad core processor paired with 4GB of internal storage and 512MB of volatile memory. In terms of photography capability, this dual SIM handset comes with 5MP main shooter with LED flash and a 2MP front snapper for taking selfies. Other specs include 3G connectivity, 1500mA battery, and runs on Android Marshmallow. It is now available nationwide in all Starmobile concept stores, kiosks and authorized dealers nationwide for only Php1,790.